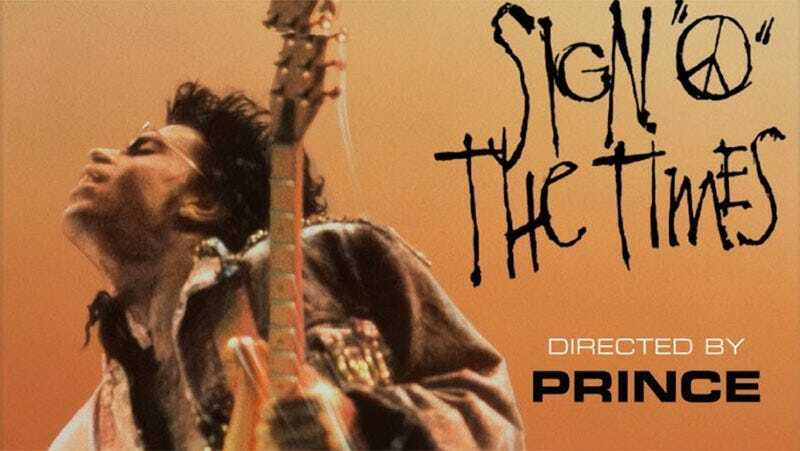 Prince’s 1987 concert film Sign o’ the Times, which has never been released on DVD or Blu-ray in the United States, will bow on Showtime on September 16 at 9 pm ET. The film, which was released to reinvigorate sales of his 1987 landmark album of the same name, was largely shot at Prince’s studio-compound home Paisley Park. Initially, it was to be comprised of footage shot on Prince’s SOTT tour of Europe in the summer of 1987. However, ever the perfectionist, Prince scrapped that footage when he realized its audio and visual elements did not live up to his quality standards and did reshoots at Paisley Park.